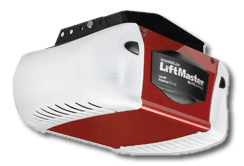 American Garage Door offers two lines of high-quality garage door openers, Genie and LiftMaster. We also provide service, repair and installation for these brands, so if you’re having issues with an existing opener, check out our Garage Door Repair page for more information about how we can help you out. Now, you might think that all garage door openers are basically the same. And while they might share similar functions, not all openers were created equal. This is a big reason why American Garage Door features Genie and LiftMaster openers. We know that installing a new garage door can be a significant, and even unexpected, expense. Our goal is to provide a garage door and opener system that will work properly and last you a long time. Quiet Operation – If you have a bedroom or other occupied space above or adjacent to your garage, this is a must-have feature. We’ll set you up with a belt-driven opener. Dual-Frequency Remote – In areas of Denver where there are a lot of homes and garages, it’s easy to get mixed signals. Going dual-frequency provides increased reliability. Light Options – It’s standard to have a light come on when garage door openers are activated. For added control and security, ask us about models with switches and motion sensor lights. Backup Battery – In case of emergency and loss of power, you’ll want an opener that is still operational and doesn’t require you to manually raise and lower your doors. Code Encryption – Protect your home and possessions from tech-savvy burglars with a garage door opener that uses a non-repeating access code every time you use the remote. To learn more about our garage door openers, Genie and LiftMaster, simply get in touch with American Garage Door. Our knowledgeable staff can explain everything and answer any questions you might have. Once we determine the right opener for your needs, we’ll move forward with a safe, professional install. 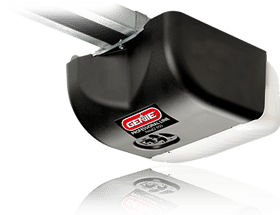 Call Us For Garage Door Opener Systems in Denver!